Here is the news advisory regarding the rescheduled joint Met Council and Hennepin County Regional Railroad Authority public hearing. (St. Louis Park, MN) – Today, the Metropolitan Council announced that the joint public hearing with the Hennepin County Regional Railroad Authority will occur May 29 at the Hennepin County Government Center, 300 South Sixth Street, Minneapolis at 6PM. An open house will be held on the Public Service Level of the Hennepin County Government Center beginning at 5PM. The previously announced May 12th hearing will not take place. This entry was posted in Southwest LRT on April 29, 2014 by citoyen1789. I am weary of the opinions of “Policy Advisory Committee” members and other “urban planners” who think they know what is best for the growth and development of our metro area. The maps, charts and statistics that Bob Corrick and John DeWitt present (“Southwest LRT routing is best for a complete network,” April 24) make the project appealing on paper. However, in my opinion, these statistics do not accurately reflect the views and attitudes of the voting public. Frankly, a large percentage of Cedar-Isles-Dean, Kenilworth and Kenwood residents does not want LRT traveling through the Kenilworth corridor. In fact, my wife and I recently moved from the Cedar-Isles-Dean neighborhood in large part to escape from the light-rail line. Like it or not, the freight trains, runners, bikers and residents of the Kenilworth corridor are not going anywhere. In contrast, the Southwest LRT trains can be rerouted to the Midtown Greenway and Nicollet Avenue. Like it or not, the Kenilworth corridor is no longer a feasible option. Like it or not, the Southwest LRT project needs to start over. So the city of Minneapolis, which was perfectly happy to inflict massive berms on St. Louis Park to reroute Southwest Corridor freight trains, gets hives over an apparently mistaken suggestion that light-rail tunnels proposed to appease a handful of Cedar-Isles residents be bermed — just like the existing bermed tunnel that takes the Hiawatha Corridor LRT and road across Minnehaha Park in southeast Minneapolis (“Tunnel mix-up snags rail plan,” April 23). This reaction demonstrates perfectly the infantile and hypocritical animus behind the city’s whole stance on this issue. Perhaps the city would prefer that we go back to the Minnesota Department of Transportation’s original idea for this corridor: the Southwest Diagonal Freeway, a four-lane expressway connecting Highway 7 to I-394 at Parade Stadium via Cedar-Isles. 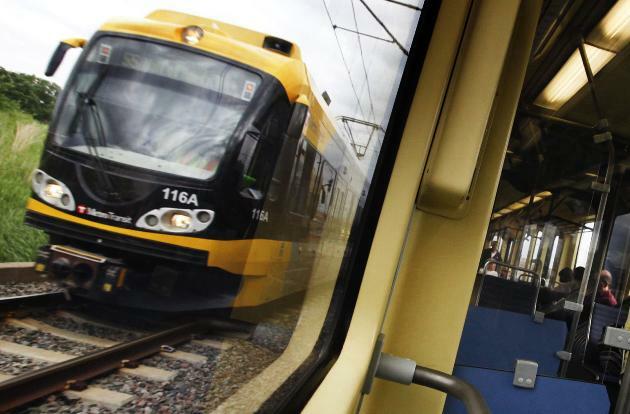 No matter how routing of SWLRT is explained by the Met Council, the fact remains that no passengers will be able to get on or off the trains between Lake Street and downtown Minneapolis. Running the trains through the woods ruins the recreational value of the Kenilworth Trail area and wastes the cost of a massively expensive public resource by running it where it cannot be used to serve potential passengers. This entry was posted in Southwest LRT on April 27, 2014 by citoyen1789. Planners of the Twin Cities’ biggest transit project sent Minneapolis a different design for tunnels than the one approved by metro leaders two weeks ago, delaying the city’s review past a key deadline. The Metropolitan Council, the agency overseeing the $1.68 billion Southwest Corridor project, sent the city a design that shows one of two light-rail tunnels in the Kenilworth corridor being built in berms rising as high as 13 feet above the existing ground level, an element not included on designs previously made public. 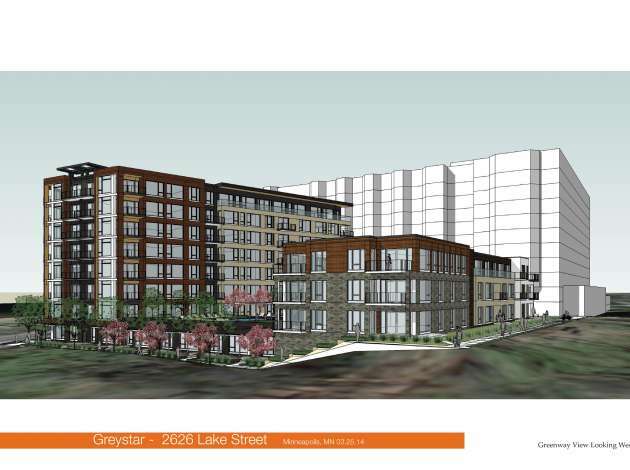 City officials challenged the elevated design, which would likely prompt more objections from nearby residents already upset with the Southwest project. Met Council Chairwoman Susan Haigh called the changes an error by her staff and directed it to “rescind and replace” the altered version with the one the agency approved earlier. “I found out about it … and said, ‘Whoa, that’s not what we agreed to. 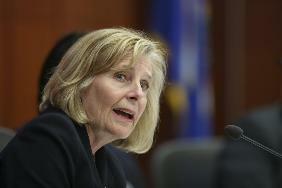 You need to resubmit the plans that we actually agreed to,’?” Haigh said Tuesday. On Tuesday her agency sent the approved design to Minneapolis. This entry was posted in Southwest LRT on April 25, 2014 by citoyen1789. The Minneapolis Park and Recreation Board (MPRB), along with the Minneapolis Department of Public Works, invites you to an informational open house regarding the renovation of Minnehaha Parkway East from 27th Avenue South to 38th Avenue South. This project is scheduled to occur during summer of 2014. The current parkway surface has deteriorated and is beyond a serviceable condition. At the open house, staff will discuss the project scope and schedule, and present preliminary property assessment mapping. Please tell your neighbors and plan on attending. If you require language translation or other accommodations, please contact (612) 230-6472 at least 2 business days in advance of the meeting. This entry was posted in Miscellaneous on April 23, 2014 by citoyen1789. This entry was posted in Board Meetings on April 12, 2014 by citoyen1789.